When you step into the shower, you probably want to clean any dirt and bacteria off of your body. But, what if you were actually just spraying yourself with chemicals like lead and chlorine that can cause several health issues. In order to get the results you want from taking a shower, you need to install an effective water filter to your shower head. It’s actually more harmful for you to inhale chlorine during a shower than consume it in your drinking water. In a hot shower, your pores open and absorb the chemicals pouring down on you and put you at risk of several health issues. A 1992 report by the American Journal of Public Health links a 15% to 35% increase in certain types of cancer among people who consume and absorb chlorinated water. This report also points out that much of these health risks were due to showering in chlorinated water. A recent EPA report notes, “Virtually every home in America has a detectable level of chloroform gas in the air due to chlorine and showering.” So, the simple act of showering puts you at risk for absorbing chlorine in two ways, through your skin and by inhalation. There are cosmetic reasons for adding a filter as well. Chlorine in your water can cause hard water build up and cause hair to become dry, brittle and frizzy and skin to become dry and irritated. 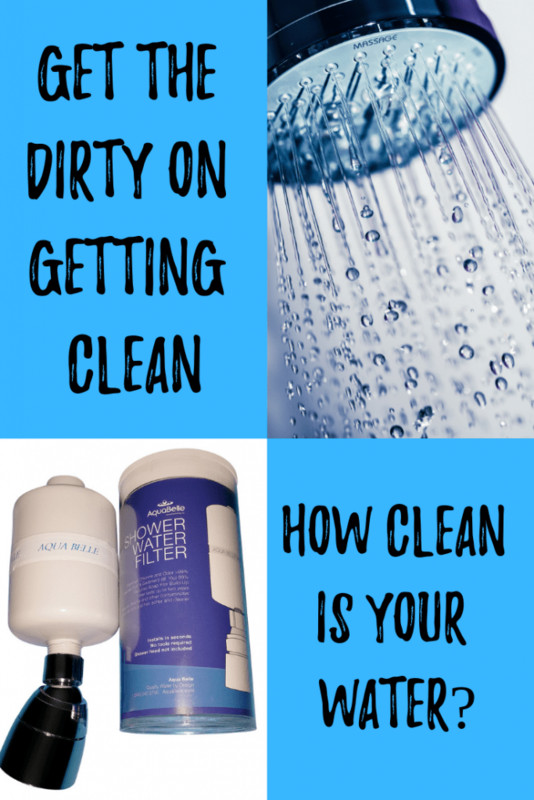 Whether your water supply puts you at risk for things like dry skin or far worse health issues like cancer, installing a shower filter is an effective way to alleviate the need to worry about all of it. With a 30,000 gallon capacity, using an AquaBelle shower filter is a ‘fix it and forget it upgrade’ to your home that you only have to worry about every two years. The AquaBelle Shower Filter is able to reduce pesticides, heavy metals, sediment, rust and sulfur from the water that reaches you in the shower. It also eliminates odor and suppresses bacteria as well as 99% of the chlorine in your water supply. The AquaBelle’s Shower Filter is the most effective and inexpensive on the market. Installing one can improve the appearance and overall health of your entire family. The shower head fits a standard 1/2” pipe thread and can be used with your existing shower head. It sits in-between the wall and shower head filtering the water as you shower to deliver you healthier, safer water.